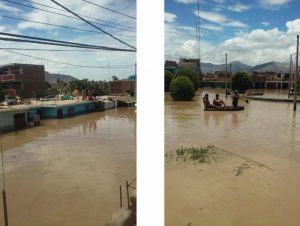 In Huarmey, more than 14,000 people were affected, along with 400 homes, 12 schools and 41.5 km of highways. 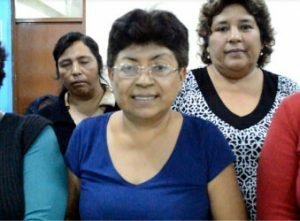 After this terrible episode, Huarmey city was in great need of resources, with no light, water or food, they were isolated from other cities, trying to find support and solutions for the damaging effects of the flood. (More than 1 meter and a half of water covered Huarmey city, and boats were need to help families recover belongings and rescue family members). 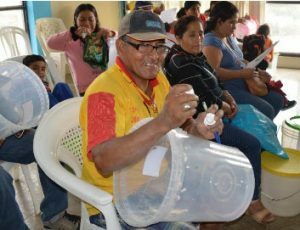 After experiencing intense and devastating flooding due to “El Niño” Phenomenon, people of Huarmey continue to face significant needs, especially water. Even before the flooding people complained about the water quality. Since the flood, the water quality has gotten even worse and people have had to use yellow, polluted water to drink, cook and clean. Families also reported an increase in diarrheal diseases since the flooding that occurred in March. 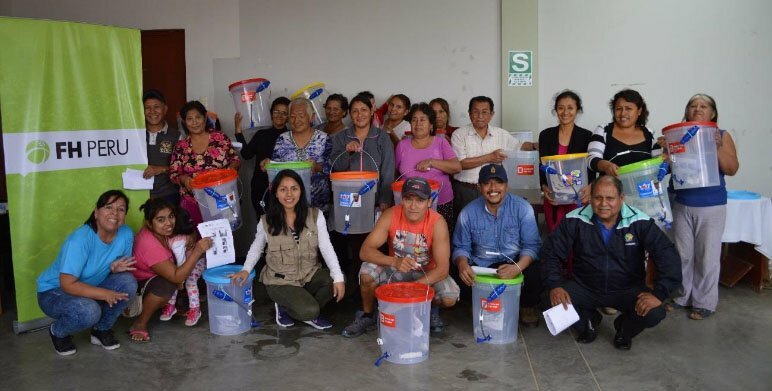 FH Peru responding to the needs of flood victims in Huarmey, first in April, provided to more than 1200 families with boxes of purified water, hygiene kits and food baskets. 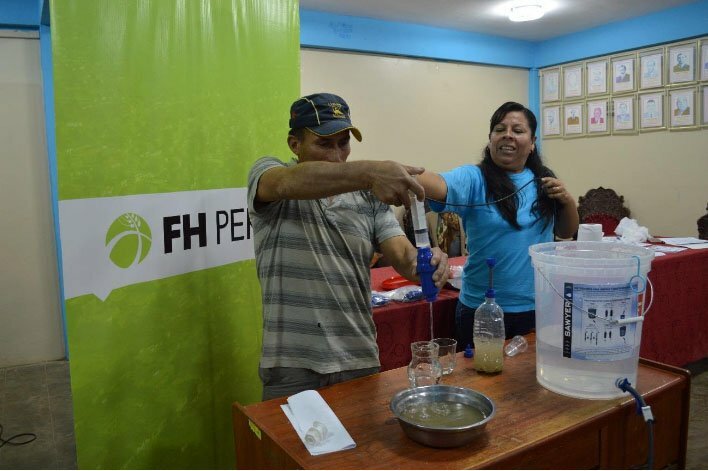 But In June, because of a generous donation of water filters, FH Peru was able to return to Huarmey and bring clean drinking water to approximately 800 people (197 water filters were distributed). This donation of water filters not only brought clean water, but also brought hope to families in need of clean drinking water. According to Microbiological Analysis of water made by DuraBio “This water filter catches 99.99% of all bacterias, parasites, sedimentation and particles.” Using these filters will help families stay healthy and will also have a positive impact on their family finances as they will not need to spend precious economic resources buying clean water or using fuel to boil water. 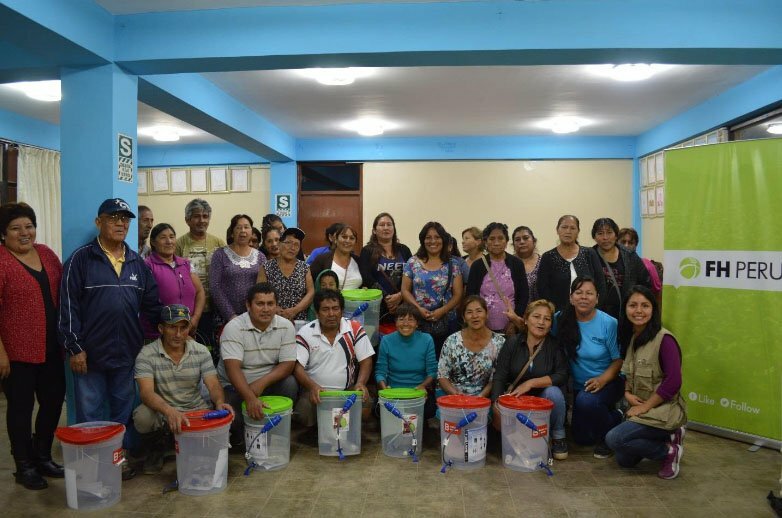 Knowing the benefits of this filter FH Peru coordinated the delivery distribution of these filters with Huarmey Municipality and with the support of a Dura Bio trainer in Peru, Karina Lopez. 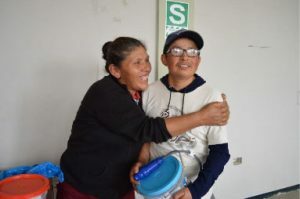 Eight trainings were held in the municipal offices to families previously identified as vulnerable and with the greatest need. Families brought buckets previously donated by the Ministry of Health. 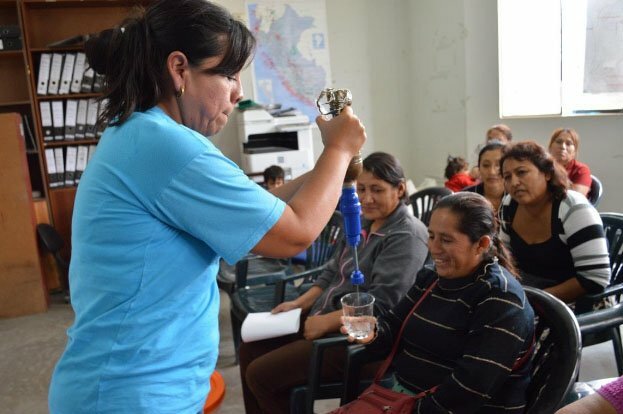 Each training lasted approximately 2 hours and participants not only received the water filter, but also learned how to install and clean the filters. 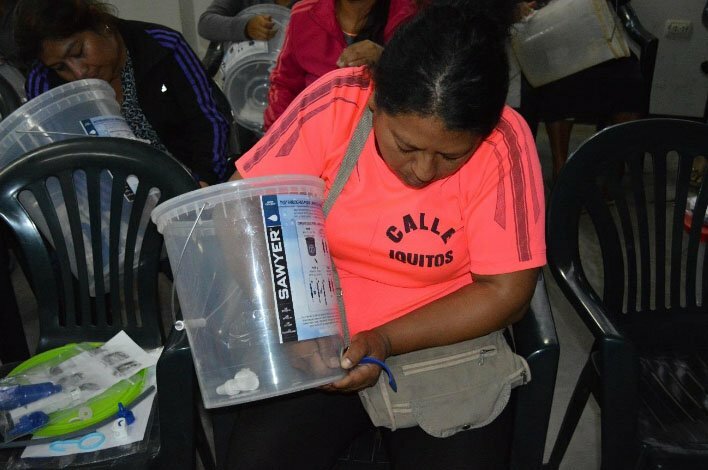 Members of the Hospital, Firefighters, churches, and other places came to the training and received their filters, as well. 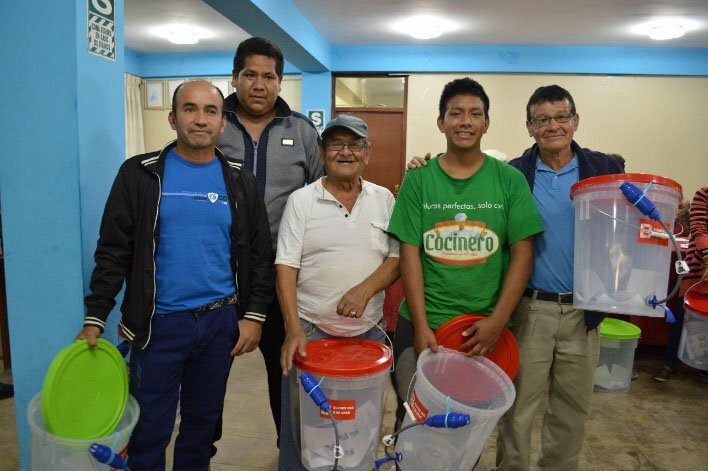 We thank God for the commitment of the Municipality and the workers of Environmental Management area, and the donor of the filters that made this donation possible for the most affected families. We thank God also for the families that received hope in now having access to clean drinking water. 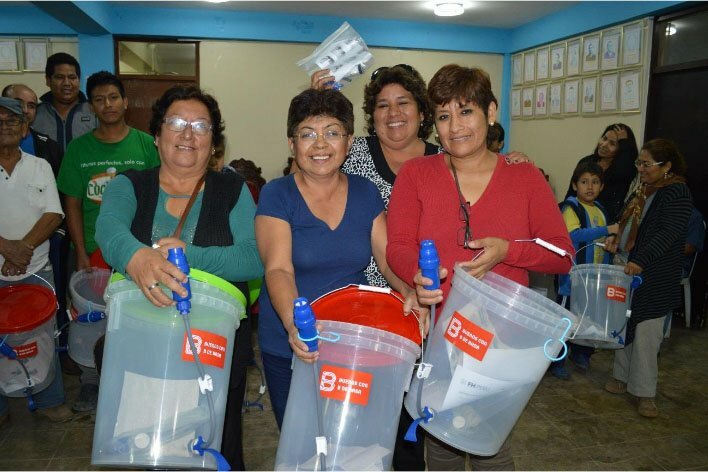 “Our sincere thanks for the donation of these filters, you made it with all your heart for the well-being of our families and ourselves, thank you very much”. 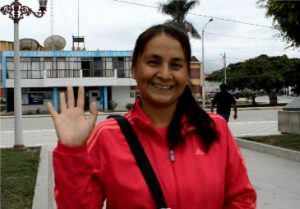 “As a resident of Olivar avenue, I am very grateful to receive the filter to have good health, since in Huarmey the water is very yellow, we hope that the donations continue”. 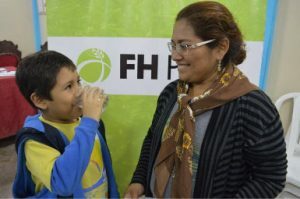 “I thank FH Peru for the filter, now we are going to consume direct water, I am not going to boil water anymore for my son who needs to drink lots of purified water”.